Very good quality components and assembly. 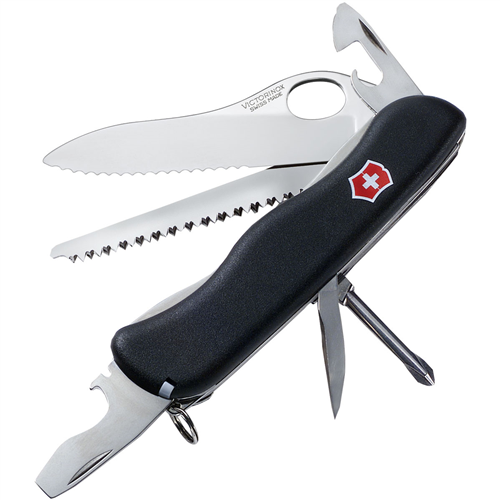 Most tools are usable, the powerlock feature really makes a difference in using the can and bottle opener. The 1/4 inch drive and scissors are of limited usability. I picked this up on a whim when I was going surf fishing 6 years ago. 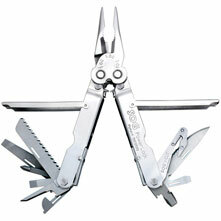 I realized I had left my nail clippers at home, we stopped at a tackle shop and I decided to get a multi-tool. 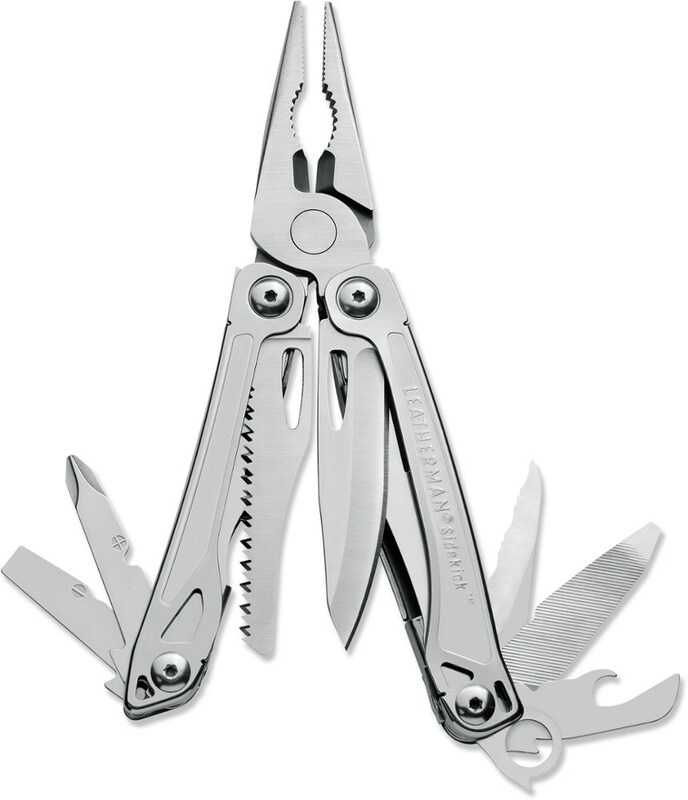 I was going to get a cheaper one but the guy at the shop recommended the SOG over everything. 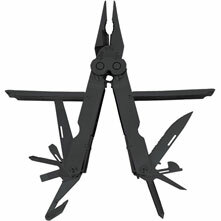 The tool is very practical for any fishing application but I found it great for surf fishing. In south Louisiana at least surf fishing is being in the water over your hips at times. It is nice to have a single tool that allows you to cut line, make a rudimentary measurement and pull a hook out without getting your fingers anywhere near teeth. Maintenance consist of rinsing the tool off in fresh water and once every four or 5 trips soaking it in fresh water for a half hour or so. As for around the house use, it makes a great BBQ accessory. It's nice having a bottle opener handy for the one guy who brings the beer that doesn't have a twist off cap, or slicing limes for the margaritas or cerveza. You can even open a can with it as a neat little party trick. Granted other things around the house may be more practical but this is all in one neat little package. It took some practice to get the implements to come out especially since a lot of this was done one handed with a fishing rod in the other. Still I was able to get the two I used the most, the file and the knife out easily. I wound up rigging a safety line on it after I dropped it when a wave hit me. I was lucky the thing landed on my foot underwater. The two biggest complaints I have concern the scissors and the 1/4 inch drive. The scissors are limited in what they can cut (they fray braided line badly) and the 1/4 inch drive could manage only low amounts of torque. The two screw driver blades could be longer but that is more of a personal preference I suspect. As I mentioned above if your OCD about weight a person might not see this as practical for backpacking because it does weigh a lot. Still I found the trade off of build quality and workmanship more than made up for the weight. 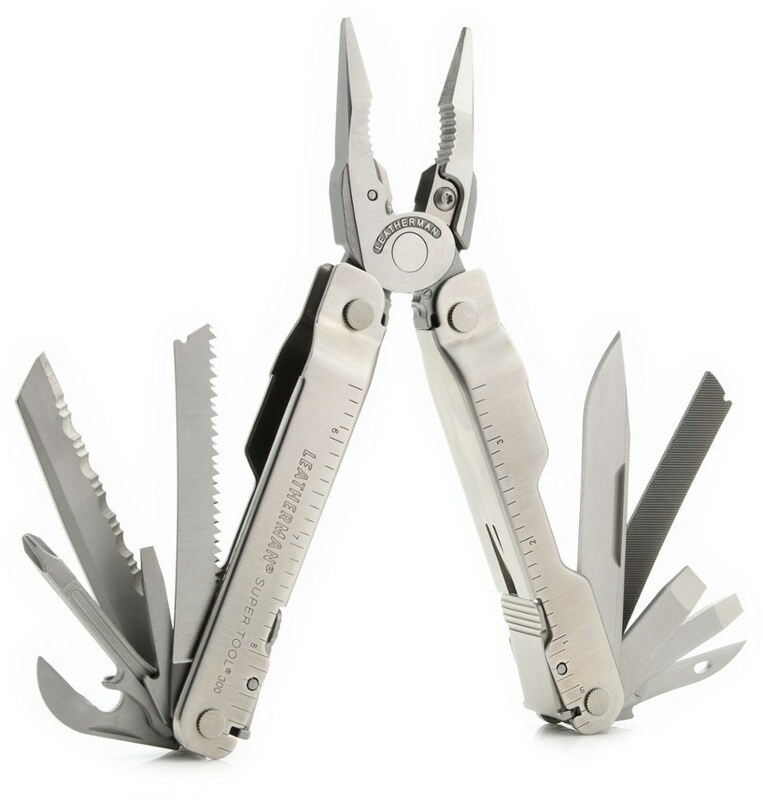 This is one solid multi-tool. Every function of the PowerLock works phenomenally. I'm especially impressed with the saw and the needle nose pliers with their compound leverage. I've beat the piss out of mine, and only managed to knock off a piece of the 1/4 drive. The missing link to the 5 star is the hand guards that flip open and closed. Mine are out of line and no longer lay flat. It doesn't affect the use of the multi-tool at all, just happens to be the spec in the eye. 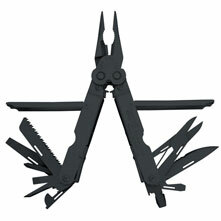 The SOG PowerLock is not available from the stores we monitor. It was last seen September 17, 2017	at REI.